Fast-turnaround experiential marketing to showcase the new model Vauxhall. 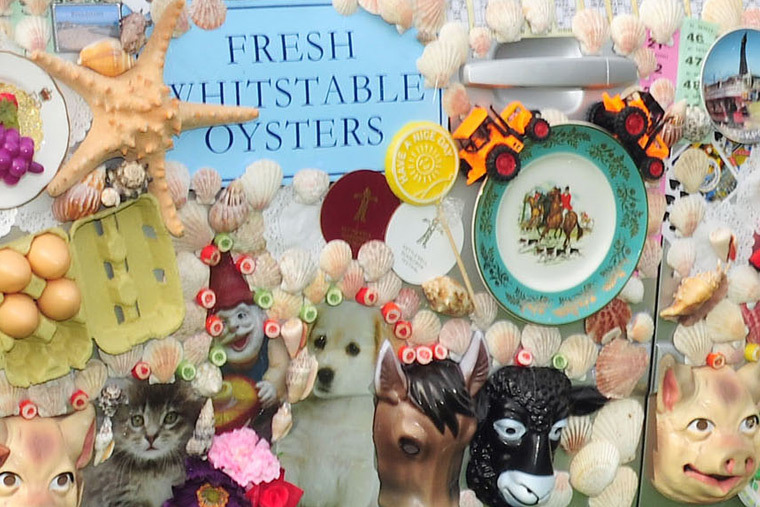 A kinetic collage, using the Vauxhall car as canvas, featuring weird and wonderful trinkets from across cool Britannia.Commissioned by Anna Lomax and Lauren Davies of Jiggery Pokery, tasked with customizing a new Vauxhall model. 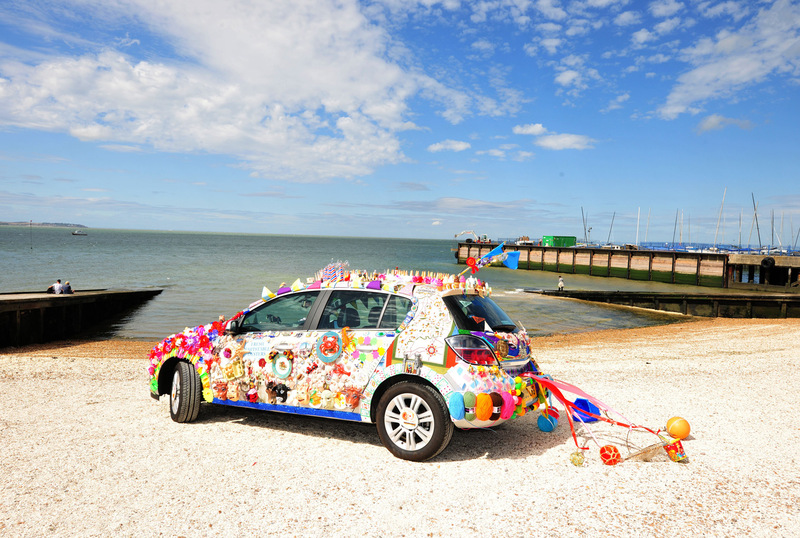 Completed in less than 24 hours, the project turned the car into the Great British Souvenir, using traditional seaside trinkets and immortalizing the best of British Holidays. 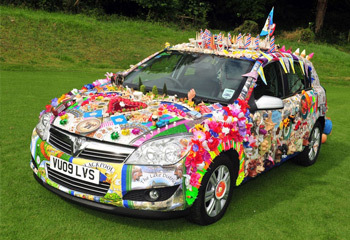 A great project from Vauxhall in which the best of British illustration and design was celebrated.